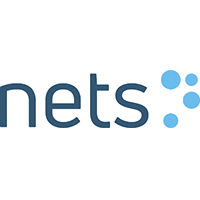 “Nets is proud that our client Bankart has announced that is has been approved by the Slovenian Central Bank to go live with a new payment system in Slovenia based on our RealTime24/7 Instant Payment platform,” says Paul Francis Walvik-Joynt, Senior Vice President in Payments International at Nets. “We will deliver a future proof solution developed for a whole new eco-system that opens up for innovative services. This will ensure that the Slovenian community will get access to services with great user experience, and at the same time keep payments cost effective,” says Aleksander Kurtevski, Managing Director, Bankart. “Instant payments are an evolution and the future of payments, and Bankart is proud to deliver this in cooperation with Nets to the Slovenian market,” adds Kurtevski in Bankart.